Palate Wrecker pours like a dictionary definition Double IPA. The body is a golden orange/copper color with a massive web of off-white foam. It looks like the seam foam you would see in a cluster of rocks off the San Diego shoreline. Lacing is prevalent and splashed all around the glass. If I were to simply say that this beer smells like pine, that would be a perfectly apt description. To be more specific, I picked up pine needles, hop oil, pine cones, and wood. A touch of honey and cracker cuts into the pine forest-like ambiance the hops create. These same flavors pop up again in the taste. Hop oil and pine cones come in big right off the bat. And I do mean BIG. Some cigar and wood notes come through near the end. Hints of toffee show up here and there, but it is overwhelmed by the hops and never really gets a chance to make itself that known. Mouthfeel is light-to-medium and very typical of the DIPA style. There’s a ton of stickiness that dries out your mouth and clings to your throat the whole way down. Abrasive is a very appropriate term for the body of this beer. 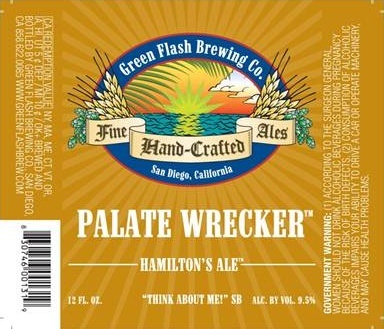 The name Palate Wrecker is very apropos. Everything about this beer says “I’m a big, brash, in-your-face Imperial IPA” and whether or not that’s a good thing depends on your tastes. I love a huge DIPA as much as the next guy, but I also don’t like to feel like I’m being punished by my beer. I can only blame myself though, what did I expect from a beer with such a foreboding name? Really enjoyed this one. I’m glad one of our local bottle stores is such a big fan of these guys. Had the West Coast IPA yesterday as well and thoroughly enjoyed that. They are big flavours though, certainly not for everyone. Even though they’re both great beers, I prefer the West Coast IPA for the drinkability. 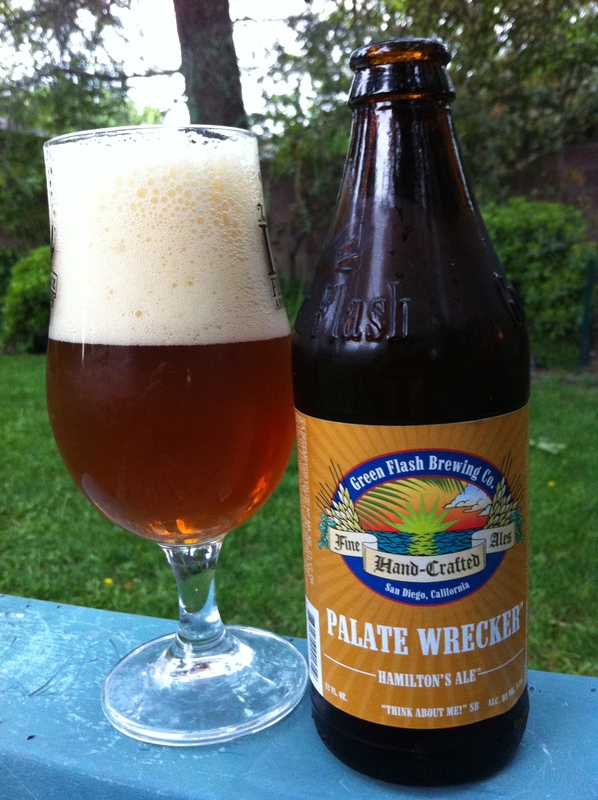 The Palate Wrecker is a tasty beer, but it’s hard to drink more than one or two in a sitting.